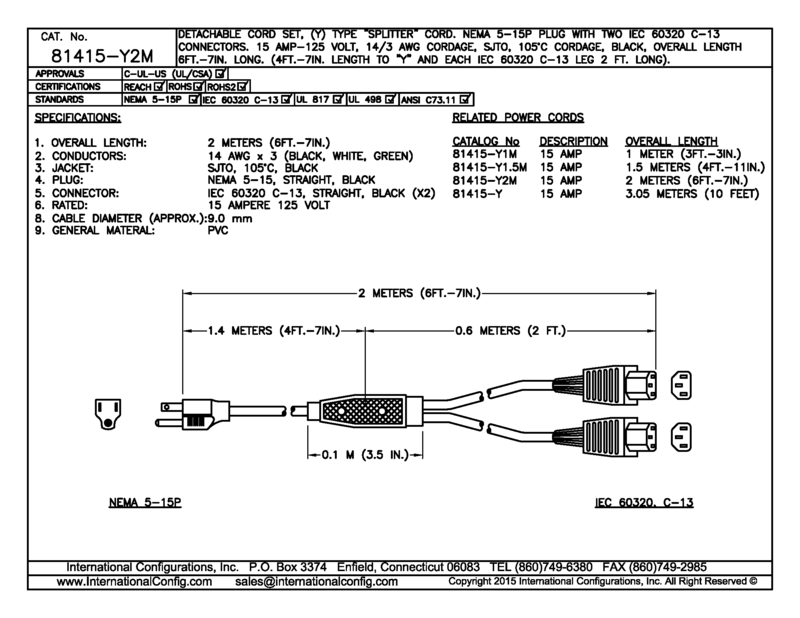 Detachable cord set, "Y" type splitter. NEMA 5-15P plug with two IEC 60320 C-13 connectors. 15 Amp 125 Volt, 14/3 AWG cordage, SJTO, 105 degree C, Black, overall length 2 meters long, (1390 mm length to "Y" and each IEC 60320 C-13 leg 610 mm long).